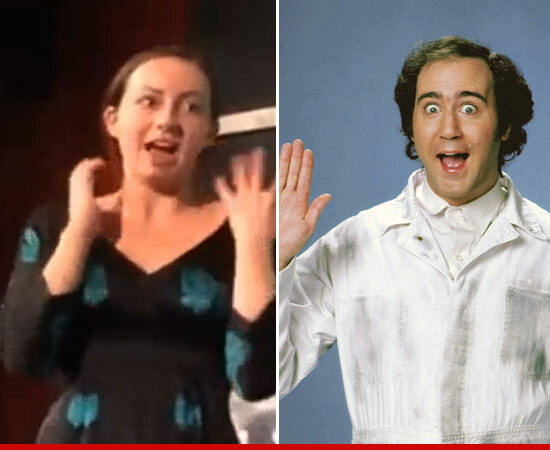 Andy Kaufman is still alive and his death in 1984 was a HOAX ... so says a 24-year-old woman who claims to be his daughter ... and here's the thing -- her claim is NOT without some evidence. 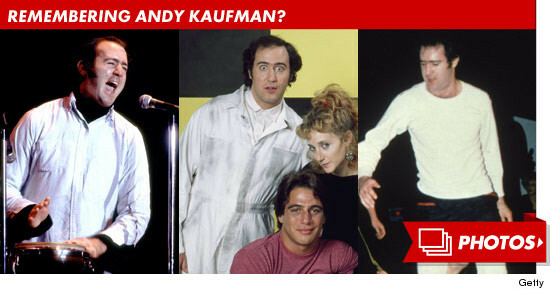 It all went down Monday at the 9th Annual Andy Kaufman Awards at the Gotham Comedy Club in NYC. The event was hosted by Andy’s brother Michael ... and during his closing speech, the unidentified 24-year-old woman approached the stage. You have to see it for yourself -- but the woman explained Kaufman has secretly been living as a stay-at-home dad with a wife and daughter after faking his own death from cancer 29 years ago. The story goes that Andy faked his death to escape the spotlight and live in solitude. The woman's account dovetails eerily with a story Michael told during the ceremony about a letter he found while going through Andy's stuff -- a letter Andy wrote explaining a plan to fake his death. 1. When you look up Andy on the Internet database of record, there is no date of death listed. 2. In 2001, the database shows Andy lived in Cook County, Illinois. 3. There's another address indicating he lived in Westchester County, NY later in 2001. Speculations and rumors have swirled ever since Kaufman passed that his death was an elaborate hoax -- so while the woman's story is shocking, it's not entirely unbelievable. As for when Andy plans to reveal himself, the woman said he had considered coming out that night -- but backed out at the last minute.